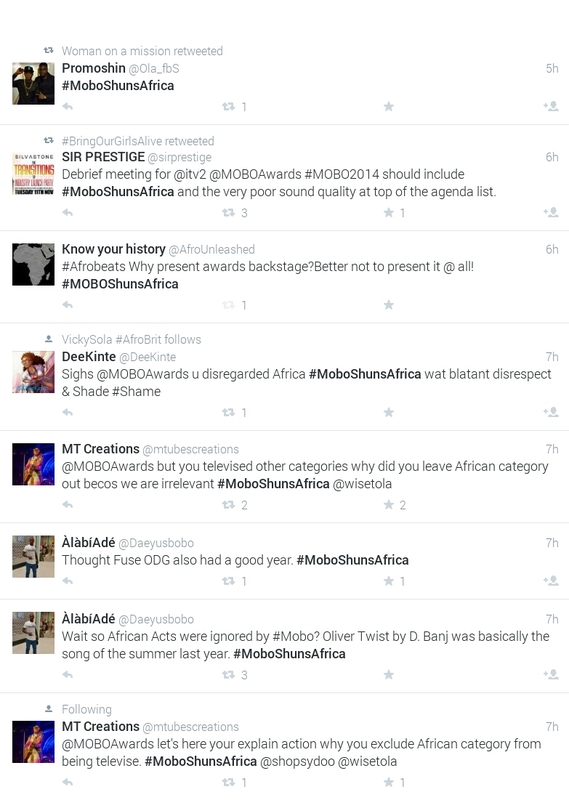 Posted on October 23, 2014, in Africa, Diaspora, World and tagged #MOBOShunsAfrica, afrobeats, Best African Act, Fuse ODG, MOBO awards 2014, Twitter. Bookmark the permalink. Leave a comment.